Automatic image preview is one of the strong features of Nikon Z cameras. Being able to see the image exactly as it will appear in final form before you take it is very powerful! However, there is one thing that many Z camera owners may not realize. Depth of field (DOF) is automatically previewed in the EVF and on the Monitor of a Nikon Z camera—but down to the aperture setting of F/5.6 only! Limitations to the autofocus system prevents the camera from focusing well with apertures set to values below f/5.6 (too dark). Therefore, the camera limits depth of field in automatic image preview to f/5.6 and larger apertures. 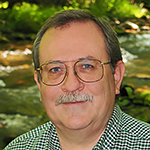 Even if you are using f/16 or f/22, the depth of field seen on the EVF or Monitor is from an f/5.6 aperture setting. If you need full depth of field preview, you will have to assign the Preview function to an assignable button, such as Fn1 or Fn2. Then you can press the assigned button to stop down the lens fully and see the actual depth of field, at whatever aperture. I assigned the DOF “Preview” function to the Fn1 button on the front of my Nikon Z7. 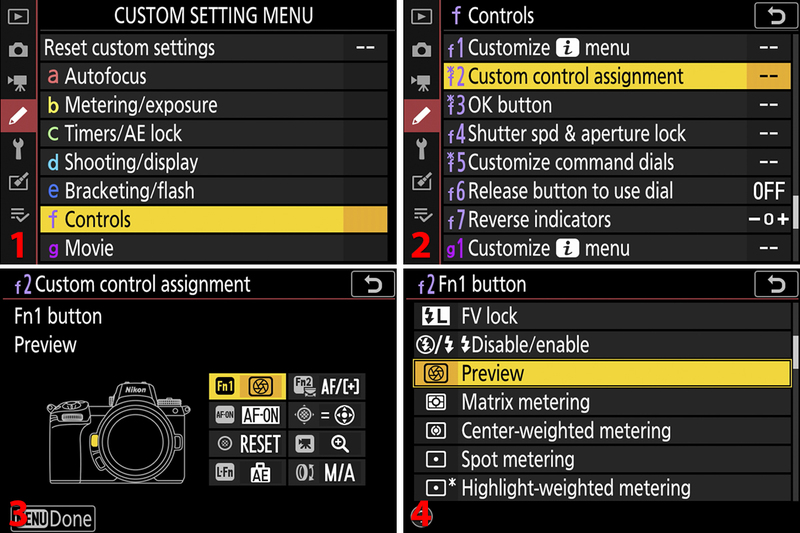 You can use Custom setting f2: Custom control assignment to assign functions to camera buttons, as seen in figure 1. Assign the Preview function to one of the programmable buttons shown in figure 1, image 3, for your Z camera. That way, you will have accurate DOF preview when you need it.